Cine-Polskie is our event showcasing a whole day of Polish Cinema on Saturday 7th April at the Polish Parish Club (full details here). Cine-Polskie’s film programmer Adam Ryan has the following to say on the two films that have so far been announced. Due to the fact that our guest speaker will be offering an in depth talk on the day, and that the film’s frankly formidable reputation has – in all likelihood – preceded it, I will be brief. The Saragossa Manuscript is undoubtedly one of Wojciech Has’s finest works. 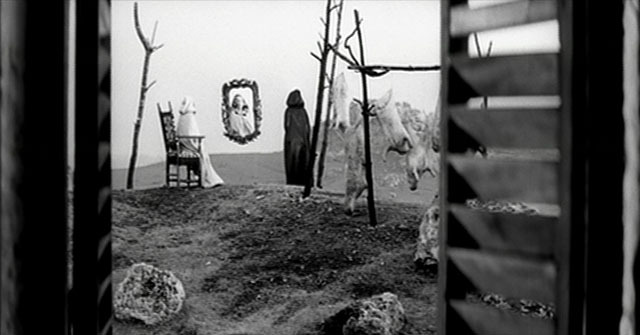 Using Jan Potocki’s novel ‘The Manuscript Found at Saragossa’ as a palimpsest, it subverts the fantastic source material to create a wholly surrealist piece of cinema; his first exploration of the form that would reach its peak with The Hourglass Sanitorium (1973). It also signalled a move away from his more formal, melodramatic early work, such as Petla (1958), One Room Tenants (1960), and How to be Loved (1963), and a move towards the lavish indulgence of his middle and later period, characterised by films such as The Doll (1968) and The Trials of Balthazar Kober (1988). It is nonetheless a Has film through and through. Incorporating one of his signature motifs of a journey as the driving narrative force, it retains the key strengths of his earlier films in creating a consistently unique world, using close-up shots to endow inanimate objects with a potent – albeit at times ambiguous- relevance, fluid camera movements that add a haunting, poetic quality and a central character out-of-whack with his environment. Of all the many big names that have expressed a love of this film, for me none are as impressive as Luis Bunuel. In his autobiography My Last Breath (1985) he names only a handful of films, and filmmakers for which he is partial; among these are The Bicycle Thieves, The Battleship Potemkin and, of course, The Saragossa Manuscript, which he goes on to claim he saw “a record breaking three times,” even going so far as to help arrange a distribution deal for the film in Mexico. The Milky Way (1969) is heavily indebted to it – both in narrative structure, tone and visual style – as are a number of his other late-period features. If all this wasn’t tantalising enough, the copy of the film to be screened is a newly restored version revealed by ‘Kadr’ film studio in Poland earlier this year. The ideal ending to the day; this will enchant, mystify and down right delight you. Night Train straddles two distinct eras of Polish cinematic heritage: while it still has one foot in its ‘Polish School’ present, there is no doubt that this is a film looking to the future. Along with Wojciech Has, Kawalerowicz was one of the first graduates of the Young Filmmakers School in Kraków, immediately after which he began to make Socialist Realist movies, in accordance with the enforced cultural policy at the time. Just as some of the finest examples of silent cinema were made in its twilight years, Kawalerowicz’s late Socialist Realist film Under the Phrygian Star (1954) is one of the finest examples of a soon-to-be-dead genre. After one foray into the exploration of the post-war condition so prevalent among the Polish School directors, The Real End to the Great War (1957), there was a marked shift in his directorial style. Perhaps best known for Mother Joan of the Angels (1961) – which took the Silver Palm at Cannes- it was in fact Night Train that really marked a new phase in Kawalerowicz’s artistic sensibility. 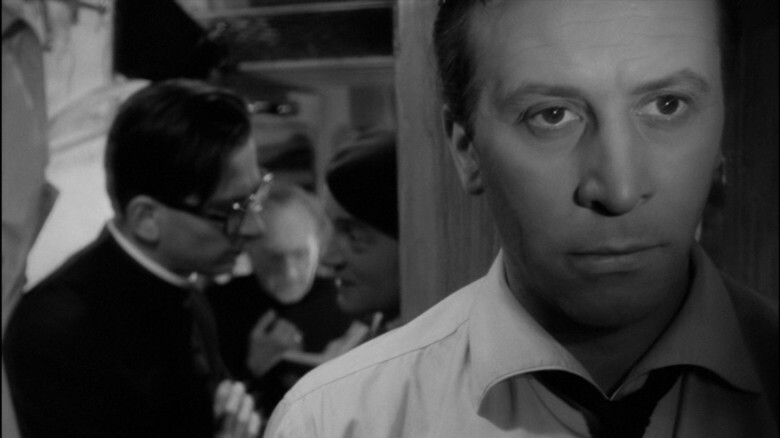 Formally innovative, psychologically gripping and controversially cosmopolitan, it can reasonably be considered a pre-runner to Roman Polanski’s debut feature Knife in the Water (1962), as well as the films of the loosely termed ‘Young Culture’ movement that dominated the ‘Third Polish Cinema’ of the late ‘60s and early ‘70s. Its pessimistic portrayal of human relationships, lucid Andrzej Trzaskowski jazz score and Hitchcockian overtones all contribute to making this a delightfully intriguing piece of cinema. A huge thanks to Second Run DVD for making this film available. They’re really helpful and proper supporters of cinema. For all the details on the day, see the Facebook event page . You can buy a ticket immediately by clicking here.